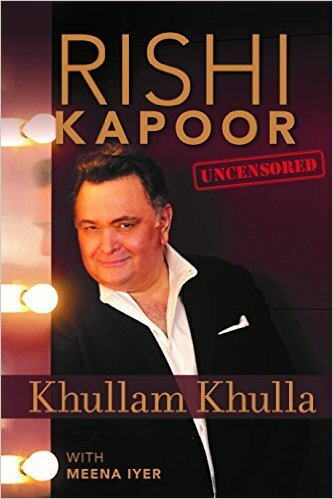 “I am ashamed to say it, but I actually ‘bought’ that award,” Rishi Kapoor writes in his recent memoir Khullam Khulla, referring to the best actor trophy he got in 1974 for Bobby. 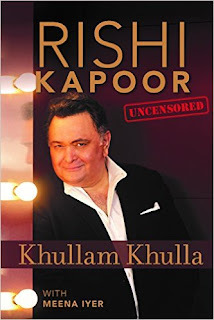 This admission was hailed as a rare instance of frankness in an Indian movie star’s autobiography – indeed, much of the pre-publication buzz around Khullam Khulla had centred on Kapoor’s straight-shooting persona, so often seen on his Twitter feed. Even here, however, there is a side note. Any informed reader will know that the bought prize is the Filmfare Award, but when it came to specifying the magazine’s name, Kapoor and his publishers decided – just before the book went to press – to play it safe. “We told him the current editor is a friend of yours, why step on toes by spelling it out – it is understood anyway,” says HarperCollins India’s Shantanu Ray Chaudhuri. The story is a reminder of the pressures that bear on film-star biographies or memoirs. There has been increasing interest in such books, with publishers – Om Books International and HarperCollins being among the most active – finding market-savvy ways to create and promote them. But there are many challenges too. Even when a celebrity sets out to be brutally forthright, the nature of the profession – which involves living for years in the public gaze, within the protective shell of an Image – makes true candour hard to achieve. Much easier to fall back on platitudes or evasions, which most stars have traded in for decades anyway. Besides, book-writing is not a cakewalk. A film star with interesting thoughts and anecdotes may be unable to translate them into engaging prose – most of them are not Twinkle Khannas – or simply too busy to sit down and get the work done. This is where a co-author with a flair for structure, a sympathetic ear and the ability to coax out little details – to locate a voice that is more introspective and vulnerable than the sanitized one already in the public domain – can be so useful. It’s an open secret that celebrity memoirs are often ghost-written, or given such dedicated personal attention by the book’s editor that it amounts to the same thing. In such cases, the celebrity is credited as the sole author at publication time, but this has been changing lately, with a spate of books where another writer officially gets second billing. 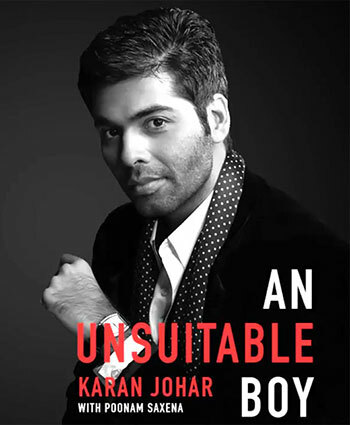 Recent examples apart from Kapoor’s memoir (co-written by critic Meena Iyer) include Karan Johar’s An Unsuitable Boy (helmed by senior journalist Poonam Saxena), Dilip Kumar: The Substance and the Shadow (which has an “as narrated to” credit for Udayatara Nayar, a friend of Kumar’s wife Saira Banu), and, a few years earlier, the Leela Naidu memoir co-authored by Jerry Pinto. Still to come are memoirs of Nawazuddin Siddiqui (by Rituparna Chatterjee), Asha Parekh (Khalid Mohamed), Hema Malini (Raj Kamal Mukherjee), and at least two books – you could call them casting coups – where a celebrity will write about a celebrity: director Raj Kumar Hirani is working on Sanjay Dutt’s life-story, while a book on Kamal Haasan is being done by K Hariharan. How do such projects get rolling? Usually a publisher sends out feelers to a celebrity, and if the latter agrees they look for the right co-writer – often settling on a journalist who has interacted with the subject on earlier occasions. This, with a few minor variations, is what happened with Kapoor and Iyer, with Johar and Saxena, and with Bharathi S Pradhan who wrote the Shatrughan Sinha book Anything but Khamosh – not a first-person memoir but an authorized biography involving the very close cooperation of the actor. Pradhan had known Sinha for decades, and the possibility of such a book had first arisen around 25 years ago. The sceptical reader may feel that long associations beget hagiographies, but ultimately that depends on the personal integrity of the individuals involved. “Shatrughan Sinha was very clear that he didn’t want an Akbar-nama,” says Dipa Chaudhuri, chief editor, Om Books International, “so we made sure to give the book a polyphonic treatment.” If the actor mentioned something contentious, Pradhan got the versions of the other people involved. Even the Foreword was by one of Sinha’s political rivals, Shashi Tharoor. At any rate, the subject-writer pairing is crucial. Poonam Saxena worked so well for An Unsuitable Boy not just because of her interest in Karan Johar (“I always found him articulate and sensitive, and had the sense that he had a story to tell”) but also her open-mindedness about popular cinema and its distinctive language; this made it easier to get into the mind-space of a filmmaker who often gets derided for his “unreal”, larger-than-life work and not always appreciated for the small ways in which he pushes the envelope while dealing with subjects such as infidelity or homosexuality within a very mainstream framework. Insecurities and whimsies must be dealt with too. As Dipa Chaudhuri points out, the writing and production process can get complicated because celebrities tend to go back to ground zero. “They start revising something that was discussed months ago, or the family steps in to say no, no, it was really like this.” In these situations, the collaborator has to be respectful while also being assertive enough to manage time, probe and help the subject to arrange his thoughts. That’s a lot of work, and it has a poignant coda. At the inevitable launches and lit-fest appearances once the book is done, the collaborator often gets treated like a prop – or not even invited to be part of the discussion – while the celebrity gets all the attention. But that comes with the territory, and most writers are stoical about it. No one said it was easy being a Boswell. Pessimist Fool: I was quite disappointed by the book. Maybe because I had been expecting something almost as caustic and no-holds-barred as Naseeruddin Shah's memoir - which all the pre-publicity had led one to think Khullam Khulla would be like. But apart from not being sharply written (probably the co-writer's responsibility), the structure was so dull, with separate chapters about Villains, Leading Ladies, Rivals and so on. 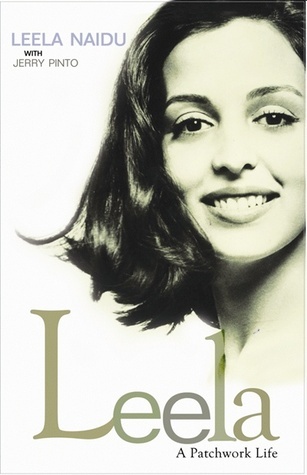 The first few pages of Neetu Singh's afterword were the most engaging parts of the book. Oh. So, its not like how he is on Twitter or the hype he created during interviews. Naseer's book was unusually honest. I was wondering how much I would have found it tough to believe that this man or kid would become the Naseeruddin Shah we know if I had known him then. It's as if he kept his stature besides the book and wrote as matter-of-factly as he could. I greatly enjoyed the book.